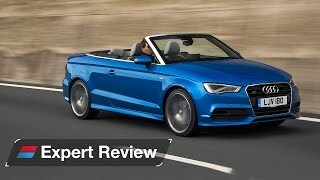 Audi has unveiled the 2014 A3 Cabriolet, a compact four-seater at the top of its class, at the 2013 Frankfurt Motor Show in Germany. The four-seat convertible has a more elegant and sporty look on the road as it has grown in size. On the front it gets a Singleframe radiator grille, flat headlights, LED headlights and an aluminum-look trim strip runs around the entire car. 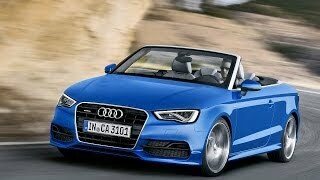 The 2014 Audi A3 Cabriolet has a soft cloth top that can be operated at speeds of up to 31 mph (50 km/h). At the press of a button, the top opens or closes electro-hydraulically in less than 18 seconds. On the interior the instrument panel is lean and low, its front is slightly curved, and the center console is angled slightly towards the driver. The three-dimensional trim strips bring premium class elegance into the interior. The optional lighting package includes a touch-sensitive switch for the reading lights – a feature being offered for the first time. 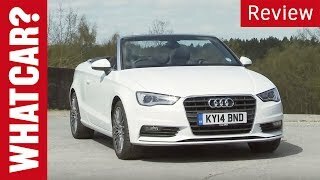 The 2014 A3 Cabriolet will be powered by a 1.4 TFSI gasoline engine outputting 140 HP (103 kW), followed by a 1.8 TFSI with 180 HP (132 kW) and a 2.0 TDI producing 150 HP (110 kW). Other engines to follow later are a 1.6 TDI with 110 HP (81 kW) and a 2.0 TFSI with 300 HP. Sales begin this autumn in Germany, and first deliveries will be in the first quarter of 2014. The base price for the 1.4 TFSI (103 kW with cylinder on demand technology) is 31,700 euros.